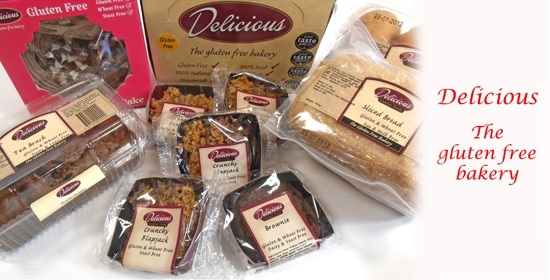 Delicious is Ireland’s artisan bakery specializing in gluten free cakes and breads and fully approved by the Irish Coeliac Society. Many of our products are also dairy and yeast free. All our cakes and breads are baked fresh every morning with locally sourced ingredients. We believe that being on a restricted diet should not mean a restricted food experience and our award winning range has proven to be a huge success with coeliacs! • Our artisan bakers create the highest quality cakes and breads, by hand, every day. • We take great pride in our freshly made, hand crafted, cakes & breads made with real ingredients. What makes our products so different?